Who's ready for some old-school gaming action? 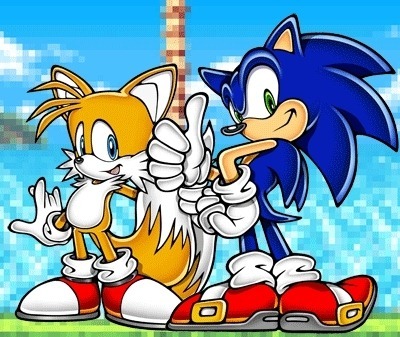 If not, you better get ready - Sonic the Hedgehog and his homie Tails are making their way to Tegra-powered devices in 2012 for a sequel to the 2010 hit Sonic the Hedgehog 4, Episode 1 (which, unfortunately, is not available on Android). Episode 2 will bring some enhanced features over its predecessor, including a completely redesigned physics engine, new character animations, and, most importantly (to us, that is), the arrival on the Android platform. The game will be featured in NVIDIA's Tegra Zone for Tegra 2 processors, and the Sonic team is also working closely with the Tegra team to bring a Tegra 3 optimized version shortly after. The game is set to arrive sometimes in 2012, though no specific date (or month, for that matter) has been given at this point. Who's happy to see this little blue guy making his way to Android?